This plugin allows you to comfortably use robust Aspose.Pdf for Java API from within your Java projects by using Aspose.Pdf Maven Project and Aspose.Pdf Example wizards. 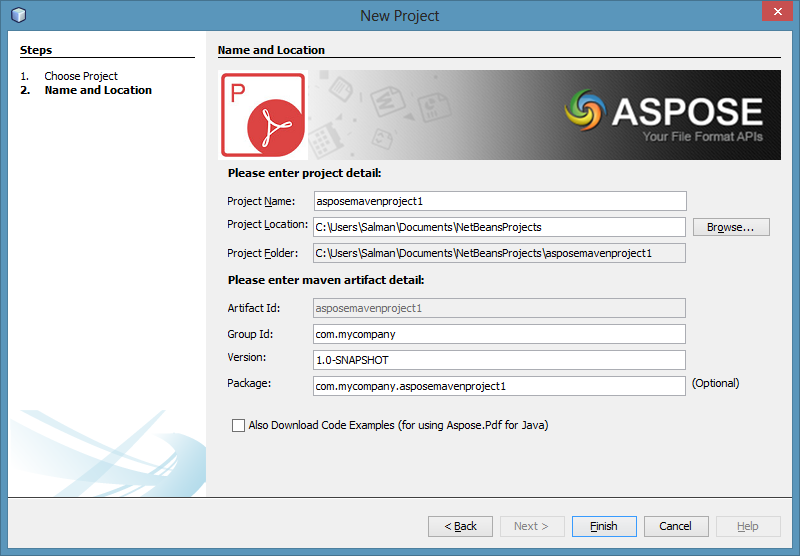 This is new Plugin for NetBeans IDE by Aspose This plugin is intended for developers using Maven platform for Java developments and want to use Aspose.Pdf for Java in their projects. NOTE: Aspose.Pdf for Java is Java API developed by Aspose that enables your Java applications to read, write and manipulate PDF documents without using Adobe Acrobat. For the API detailed features list check the link. The wizard will also look for and updates for newly available Code Examples from Aspose.Pdf for Java examples repository. What is Aspose.Pdf Java API? 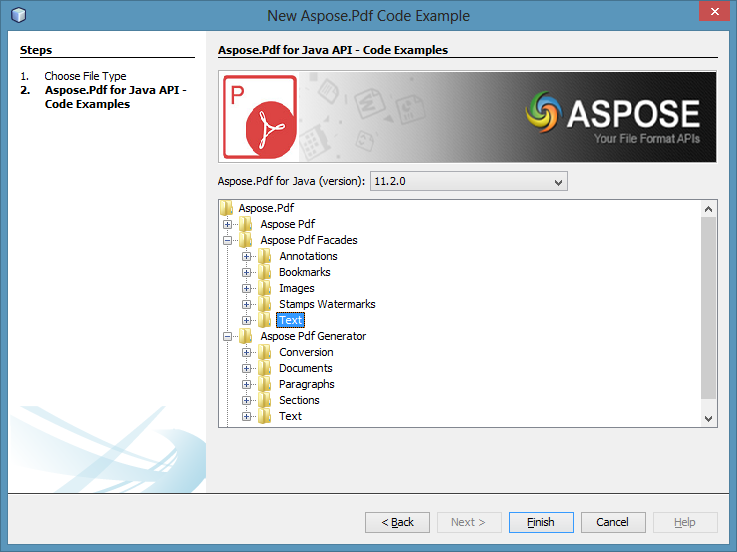 Aspose.Pdf for Java is a robust PDF document creation API that enables your Java applications to read, write and manipulate PDF documents without using Adobe Acrobat. Aspose.Pdf for Java offers an incredible wealth of features, these include: PDF compression options, table creation and manipulation, graph support, image functions, extensive hyperlink functionality, extended security controls and custom font handling.